“La Muna, designed and renovated by world renown architect Chad Oppenheim as one of his family residences, was one of the first houses built in the ultra exclusive Red Mountain enclave in Aspen, Colorado.After thirty years of haphazard changes to the building, this rustic ski chalet – with all its imperfections – is now an homage to the Japanese sensibility of wabi sabi. 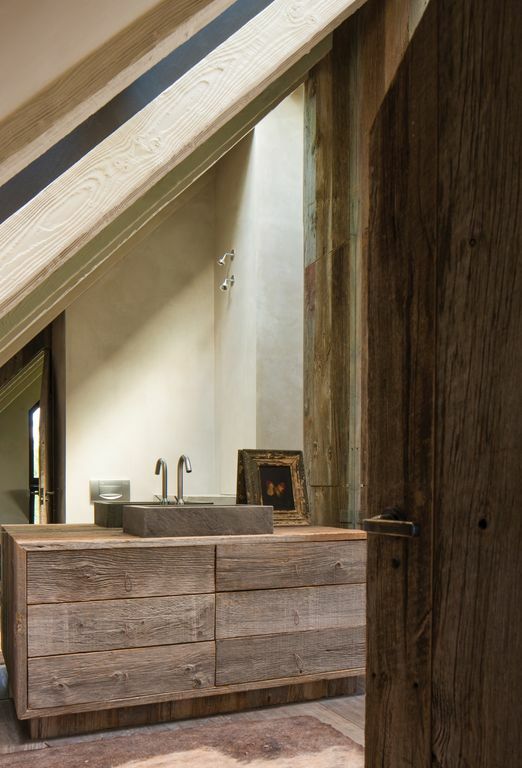 Clad in reclaimed regional wood, local stone, patinated copper, and steel, the home is intended to make a minimal impact on the natural resources and merge effortlessly with its idyllic surroundings of forest, stream and mountain. Solar collectors provide needed energy for power and hot water, while extremely large operable panels of insulated glass blur the boundaries between inside and out – further enforcing a connection and deeprespect of place. Perched alongside a mountain stream, the house blends with its surroundings of large glacier-deposited boulders, pines, aspens, cottonwoods, and service-berries, and is almost invisible from the outside as it is composed of those very same materials. Stunning views framed by each window of Ajax, Highlands, and Tiehack Mountains in the foreground, the 14,000-foot Pyramid Peak and the Maroon Bells in the background. The thoughtful renovation. Having endured “30 years of haphazard construction,” we can only imagine what this stunning house looked like “before.” The use of reclaimed wood (everywhere!) ties the design together and creates spaces that are both minimal and comfortable. The color palette. Variations of gray. Warm. Calm. Inviting. Beautiful. The wabi-sabi aesthetic. 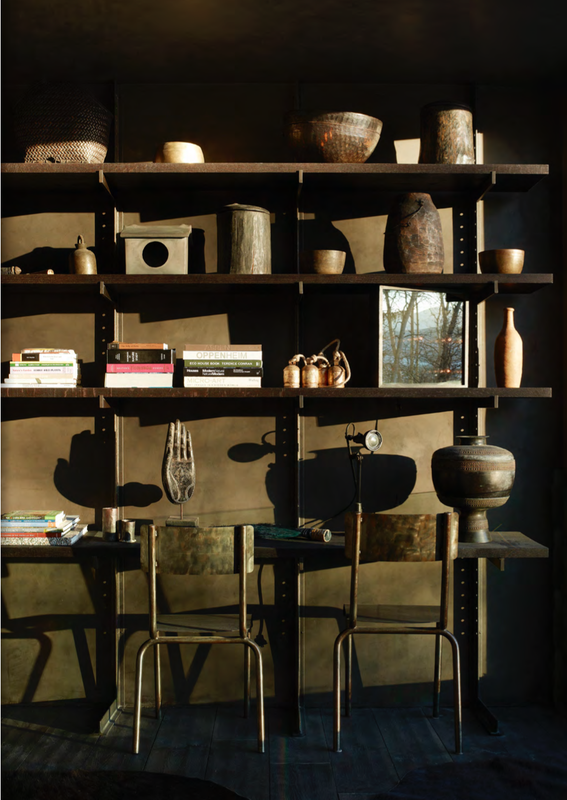 Per the dictionary wabi-sabi characteristics include “asymmetry, roughness, simplicity, intimacy and appreciation for natural objects and processes.” Yes! This house is perfectly imperfect. Well done.